From the awful autumn of 2001 to the triumphal photo op on the deck of the USS Abraham Lincoln this spring, Karl Rove's strategy has been consistent and clear: Run every campaign as a referendum on the "wartime" presidency of George W. Bush. That plan has succeeded in mitigating the inherent political weaknesses of the Bush administration, and in concealing the damage done to American security by its foreign and security policies. Mr. Rove must almost be grateful for the continuing cooperation of the opposition party, whose confused, hesitant reactions have lent Mr. Bush more credibility than he has earned. Of course, the Democrats are in a trick bag. If they criticize the President's conduct of the war on terrorism, they're smeared as unpatriotic; if they endorse his policies, then why should anyone vote for the Democrats in an era of national peril? That quandary reflects deeper problems and divisions within the Democratic Party. Unless they can mount a Presidential campaign that addresses valid concerns about terrorism and security and confronts the Republican appeal to those fears, they will be unable to exploit the President's poor record on domestic issues. Of the current hopefuls, John Kerry possesses both a sterling military record and an extensive Senate record in foreign policy. Those were among the reasons why Al Gore almost selected the Massachusetts Senator as his running mate in 2000. He has demonstrated a powerful capacity to stand up against the Republican tactic of questioning the loyalty of their opponents, a gambit that would boomerang badly if used against this decorated Navy captain. But while Mr. Kerry has made a strong start, partly by articulating the most thoughtful critique of Bush policies, he has lately gotten bogged down in sniping with Howard Dean, the highly competitive anti-war candidate. The Republicans plan to caricature Mr. Kerry as an "elitist liberal" like Michael Dukakis, the last nominee from the Bay State. 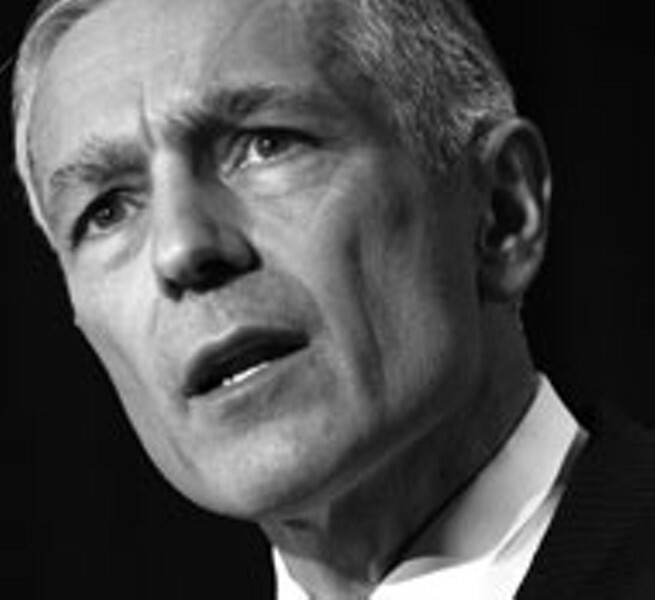 All those factors explain the sudden appeal of Wesley Clark, the retired general, television commentator and political flirt who has yet to declare his interest in the Presidency or even his partisan affiliation. In theory, he personifies the Democratic answer to the Rove strategy. A native Arkansan, Mr. Clark graduated first in his class from West Point, won several service decorations, went to Oxford as a Rhodes scholar, and completed his Army career with victory in Kosovo and four stars as supreme allied commander of NATO. Aside from Mr. Kerry, he is the only candidate with real military experience -- and that includes both the incumbent President and the Vice President, each of whom found a way to avoid their generation's war. Smart and telegenic, Mr. Clark easily transcends the old stereotype of the Southern military man. He supports abortion rights and affirmative action. His opinions about tax cuts, health care, education and the environment are all well within the progressive Democratic consensus. Speaking as a career Army officer, he might be able to persuade independent voters who tend to be suspicious of traditional Democrats. In his 2001 book, Waging Modern War, he explains his liberal stance simply but effectively: "I grew up in an armed forces that treated everyone as a valued member of the team. Everyone got health care, and the army cared about the education of everyone's family members. It wasn't the attitude that you find in some places, where people are fending for themselves and the safety net doesn't work." More significant than Mr. Clark's views on domestic policy are his willingness and capacity to speak out credibly against the Bush administration's security policies. During his stint as a CNN commentator on the Iraq conflict, he skillfully critiqued Pentagon strategy and White House diplomacy without getting himself singed. In an interview with The American Prospect magazine last March, he articulated an outlook that would serve the Democrats well. "Terrorism is a multilateral problem," he told Michael Tomasky. "You cannot defeat it in one nation. You need international police work, teamwork, international harmonization of laws against terror. You act unilaterally, you lose the commitment of your allies to make it work. That's the one thing that will kill you in the war on terrorism." To him, America represents "the embodiment of the Enlightenment," which calls for "a foreign policy of generosity, humility, engagement, and, of course, force where it is needed. But as a last resort." Both Mr. Clark and the nascent movement to draft him may already have missed their moment. He was expected to announce an exploratory committee two months ago. Back in his home state, some Democrats suspect he is actually running for Vice President. He would be more than an adornment to any Presidential ticket next year. And whatever the merits of all the other candidates, it would badly complicate Mr. Rove's "patriotic" strategy if Messrs. Bush and Cheney were required to confront not one but two progressive Democrats who served in Vietnam.